Build Amazon reordering experiences into your devices with Dash Replenishment Service and Virtual Dash Button Service. Increase engagement with your customers by offering Amazon’s low prices, vast selection, and reliable fulfillment from your device. With Dash services you can sell your own products related to your devices or receive a fee for all products sold through your device with our services. The Dash Services APIs and SDK allow you to easily integrate your device with Amazon ordering. No need to manage payment, addresses, or products. Amazon takes care of the heavy lifting. Amazon's Dash Replenishment Service (DRS) and Virtual Dash Button Service (VDBS) allow you to build Amazon shopping experiences in to your connected devices. Dash Replenishment Service offers zero-click reorders for products linked to your device. 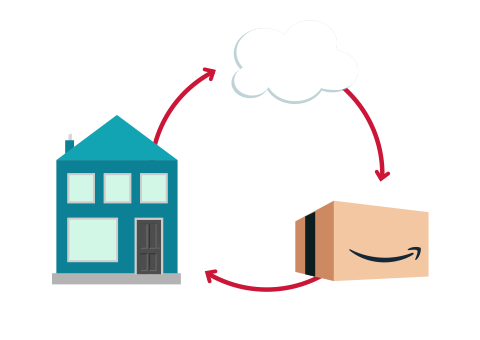 The easy to use APIs allow you to integrate with Amazon ordering and fulfillment so that your customers never run out of products they need. These services allow you to add a unique, intuitive way for customers to interact with your devices. Our integration tools and documentation make it easy to add a Dash experience on your own device.